Posted on April 24, 2018 at 5:35 pm. The Toronto-based Stars Group, the owner of Pokerstars, is set to purchase Sky Betting & Gaming in a $4.7 billion deal. This acquisition will make the Stars Group, who enter the sports betting industry with the purchase, the biggest publicly listed online gambling company. A statement issued by Stars Group indicated that the company would complete the deal by paying cash and stocks to Sky Plc and CCV Capital Partners, owners of Sky betting. Stars Group is estimating to accrue almost a third of its revenue from sports betting, which is the fastest growing segment in the gambling industry. Chief Executive Officer of Stars Group, Rafi Ashkenazi, said: “Sky Betting & Gaming’s premier sports betting product is the ideal complement to our industry-leading poker platform.” He called the deal “a landmark moment” for the company. The deal is to infuse more cash into Sky as 21st Century Fox Inc and Comcast Corp prepares for a takeover. Comcast is preparing to place a formal individual offer as Fox is waiting for a response to its bid from the UK regulatory authority. Comcast set the stage for a bidding war with its preliminary bid, which was a premium to that of Fox. In 2014, Rupert Murdoch sold out his stake in Sky to CVC, a private equity firm. This allowed CVC to have a controlling stake in the company. Stars Group is expected to pay $3.6 billion and $37.9 million in shares in accordance with the closing price of its common stock on April 20. The cash portion of the deal would be paid with the $6.9 billion debt financing obtained by Stars Group. The debt financing includes a $5.1 billion of first term loans, $1.4 billion of senior unsecured notes and a $400 million revolving credit facility. Stars Group made an unsuccessful move to acquire William Hill Plc, a rival of Sky. However, the acquisition of Sky has gained the company a strong position in the UK gaming market. It will also enhance the chances of attracting new customers to their online casino and poker offerings and reduce their reliance on the poker business. 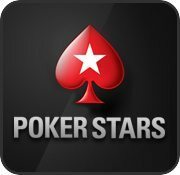 The poker business, which took a major hit when Australia banned online poker, has been unstable recently and accounted for two-thirds of Stars Group revenue in 2017. Betting companies are warming up to the US Supreme Court ruling on whether or not to legalise betting nationally. Sports betting has been banned in the US since 1992. Currently, only four US states allow betting in some form. With this New Jersey has filed a suit in the Supreme Court to have that ban scrapped as it is unconstitutional. If the court adheres to this plea, it can lead to the nationwide legalisation of sports betting in the US.